As a bit of a holiday season gift to you, here are some verbatim quotes from my students’ term papers and exams. If you enjoy these, I have some additional illustrated ones on YouTube; links below. At 19 years old, Bronson’s son Michael was born. At the age of 15 Marco’s father filed for custody once again. Like a spirally plane Ted crashed and burned from the break up. As serial killers have been around for a while, Andrei Chikatilo was born on October 16, 1936 in Yablochnoye, Ukraine state of the USSR. Sellers came to notarization not because he had become another serial killer but because he was the youngest individual to be put to death by the government for a crime that he committed as a minor. As to the reasons to how and which ones depend on how they are defined and interpreted. In March 1985, he attacked Angela Barrios, who eventually escaped him and killed her roommate, Dayle Okazaki. Hitler had an influence on the birth of the Klan. The KKK peaked in during WWII after imigrants and slavery was active. Name a time of hate group: Anti-semantic. Christian Identity is a racist church that believe jewish people are a seed of satin. The KKK was the first organized hate crime group in England. This was founded during the Civil War. During the Hippi era. KKK birth was in England during Civil War as a protest, tired of seeing other groups. Died in 1968 due to the great depression, investigating jarnalist and their own social conflicts. The re-birth was never died off, but they came back 2x stronger in 2005, when the elections came near. A female serial killer may be an angle of mercy. Female serial killers tend to use poison as their main weapon, so they do not have to use their arms. A syndrome is something a person experiences for a period of time, and is usually a direct effect after something happens to them. The wife left him with 6 children and cleaned the apartment clean she did not leave anything. Name and describe one syndrome: A syndrome you can take can be sleeping pills. Sleeping pills can be used to help you fall asleep, if you are having trouble sleeping. Taking pills can also help you if you are having a killer hangover & were drunk the night before. Taking pills can help with waking you up as well too. I hope whichever holidays you celebrate, you’ve been enjoying them! Today is the last day to get Staged from Riptide Publishing for only $3.99. And through December 30, you can get everything at Dreamspinner and DSP Publications at 30% off. You can even preorder Love Is Heartless with the discount! My daughters spent all last week at theme parks with 4 other kids and their very brave aunt. And my husband drove down Friday to join them at my in-laws’ in Pal Desert. This means I’ve had the house to myself for almost four days. Lest you feel sorry for me for spending the holiday alone, I’ll point out that we celebrate Hanukkah, which is still in progress. Plus I really, really enjoyed my solitude. I never left the house (except to carry things out to the garbage bins and check the mail). It was wonderful. I tackled a long overdue cleaning project in my study. How overdue? I filled our recycle bin completely with things like a 2001 appointment calendar. I wrote 4000 words of my 20th novel. Vampires! I dealt via email with several students who realized on Christmas that they’re not graduating this semester. It took many emails to get a straight story from them about what their issues really are. I’ve been teaching criminal justice for 24 years and have two teenagers–I will get to the truth of your BS story eventually, kids. I made parmesan black pepper bread and ate it. I watched 7 episodes of Yuri on Ice. I took a really long bath. I ate foods nobody except me likes. I let the cat–who’s supposed to be banned from our bedroom–sleep with me. I looked over some university admissions essays for a good friend’s son. I consoled, long-distance, my older daughter, who didn’t get into her top choice university. I alphabetized our neglected CD collection. Yes, we still have CDs. I chatted with friends via text, phone, and email. I did several loads of laundry. The cat fell asleep on one load (towels) before I folded it, so I guess I’ll be doing that one again. I read part of a book. Today is release day for Once Upon a Time in the Weird West! 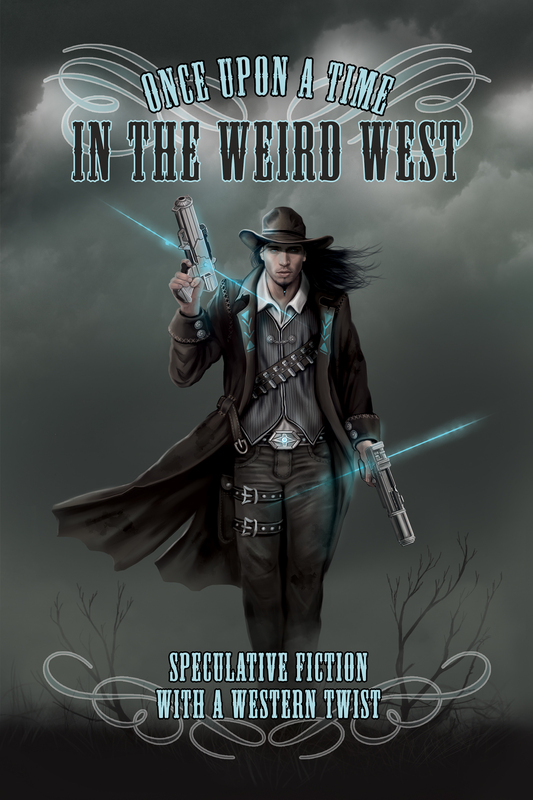 This anthology features speculative fiction short stories by 13 authors–and what a lineup it is!–all based on the weird west prompt. August Hayling went west following the discovery of gold in California. While most prospectors were hoping to strike it rich, August was more interested in a place big enough to let him get lost. Sitting alone in a saloon, he is approached by a peculiar man named Georgios Cappadocia, who offers August a fortune in gold if August will come along and help him fetch it. August soon learns that his strange new employer is engaged in some kind of ancient dispute. And when they arrive at their destination, both men will realize that not all treasures are golden—and sometimes destinies can be changed. 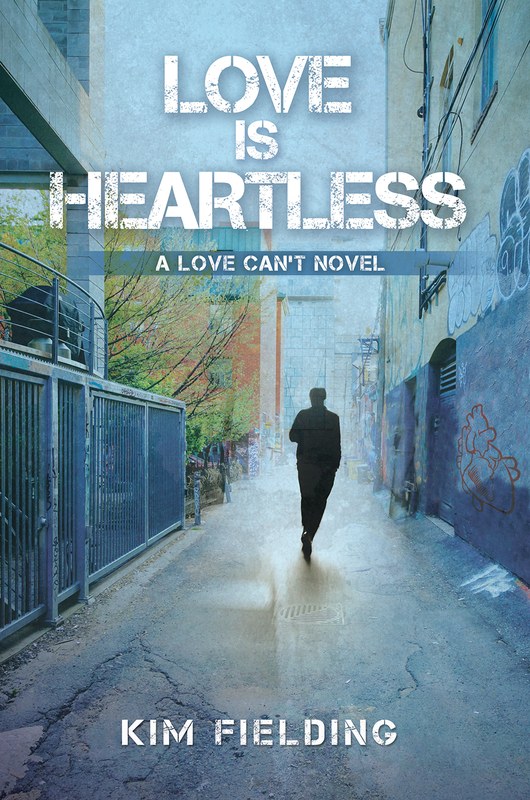 Love Is Heartless is now available for preorder. This is the second book in the Love Can’t series but can be read as a standalone. For a few days only, my Christmas short Joys R Us is FREE at Amazon. 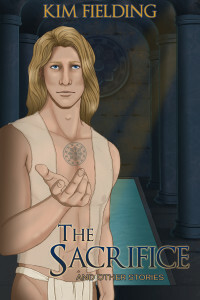 Also for a few days only, my collection The Sacrifice and Other Stories is discounted at Amazon. My royalties from this book go to Doctors Without Borders. 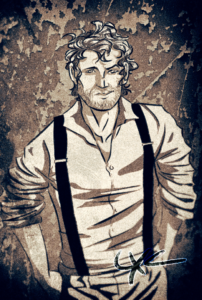 Once Upon a Time in the Weird West releases tomorrow! If you’re stuck for gift ideas, don’t forget audiobooks! Proceeds from some of mine also go to Doctors Without Borders. I’m really excited to be able to reveal the cover to Love Is Heartless! The beautiful cover is by Brooke Albrecht. The book itself releases January 13, but you can preorder now. To celebrate, I’m over at Two Chicks Obsessed today with info about the book, an exclusive excerpt, and a giveaway. Come check it out! Once Upon a Time in the Weird West releases December 16 (you can preorder now). Our blog tour begins today with entries from all 13 authors, giveaways, and a really cool set of character cards illustrated by our very own Lex Chase. Come join us!